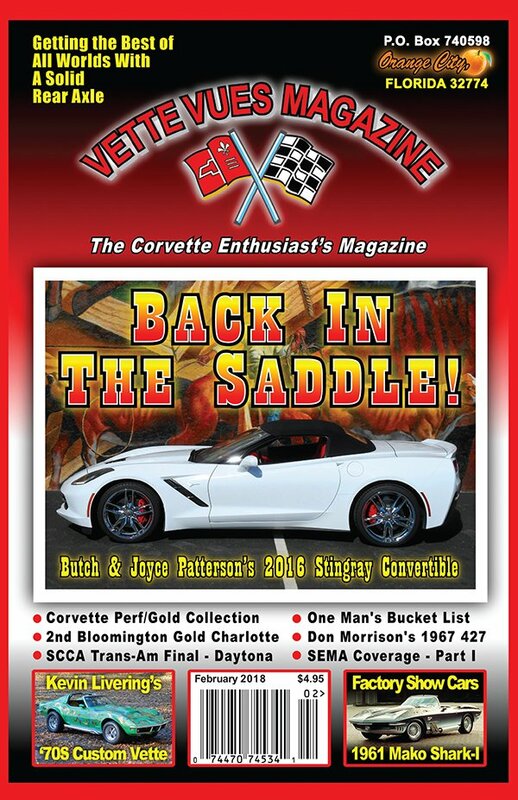 Check out the Corvette articles that appeared in our February 2018 issue of Vette Vues Magazine. 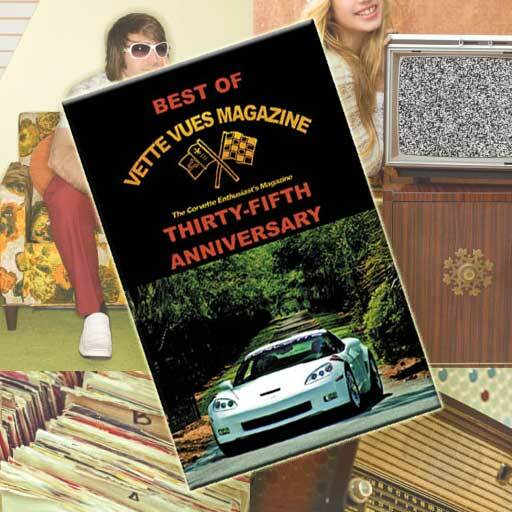 The cover and index you see here is from Vette Vues Magazine, Volume 46, Issue Number 7 and is our 557th issue. Vette Vues Magazine has enjoyed continuous publication . . . never having missed a month since we started in 1972. 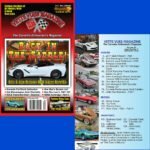 Special Report of the 2017 SEMA Show, 2nd Bloomington Gold Charlotte, Corvette Performance Gold Collection, SCCA Trans Am Finale Dayton Beach, FL 2017. 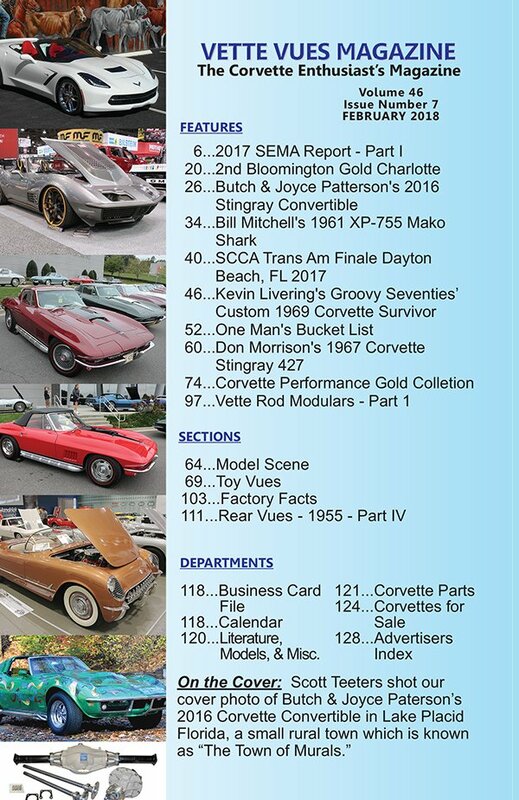 We also have several Corvette Features: Butch & Joyce Patterson’s 2016 Stingray Convertible, Bill Mitchell’s 1961 XP-755 Mako Shark, Kevin Livering’s Groovy Seventies’ Custom 1969 Corvette Survivor, Don Morrison’s 1967 Corvette Stingray 427 and the story of One Man’s Bucket List. Learn about Vette Rod Modulars and check out some Factory Facts. We are finishing up with the 1955 Corvette magazine advertisements. As always, Model Scene and Toy Vues for the collectors. We have a Corvette Calendar of Events you will want to make sure you check out. 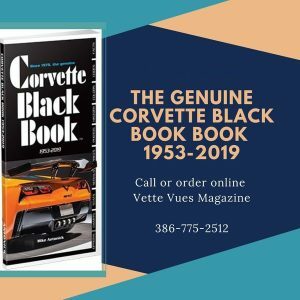 Are you looking to buy or sell Corvette related items? Check out the classified ads section each month. 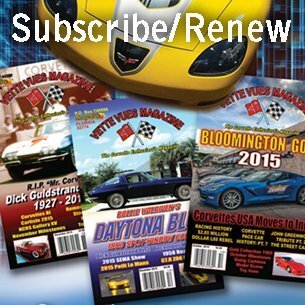 Vette Vues Magazine has some of the top Corvette advertisers in the industry. See what they have to offer and the specials they are running. To order Back Issues visit our store. To order the February 2018 Issue click here. Check out our coverage of Bloomington Gold Charlotte 2016. This was the first year that it was held. A great Corvette and Chevy show in March is the Corvette Chevy Expo in Galveston Texas. You might enjoy looking at the photo gallery.